ABOUT THE BOOK We have all heard it said that getting married is easy, but staying married is hard. Keeping a marriage happy and functioning well can be even more difficult. Marriage requires work and commitment, and it is perfectly natural for couples to experience conflict. No two people agree on everything, and all relationships involve arguments. The goal of a happy marriage is not to avoid conflict all together, but rather to resolve conflicts in a healthy way with your spouse. Too many couples simply get angry at one another and stay angry over relatively minor things. A healthy marriage is one in which both partners feel able to express themselves. Although it can be painful at times, conflict can actually be a healthy part of a marriage because it leads to growth. MEET THE AUTHOR The Hyperink Team works hard to bring you high-quality, engaging, fun content. If ever you have any questions about our products, or suggestions for how we can make them better, please don't hesitate to contact us! Happy reading! EXCERPT FROM THE BOOK Too often, when couples argue, they do not communicate with one another effectively. When you feel like your partner does not understand you, this can lead to long-term marital problems. In order to form a strong connection with your spouse, it is essential that you work on understanding their needs. Many women attempt to avoid conflict all together in marriage. However, simply being passive can lead to more problems in the future and a breakdown in marital communication. Of course, there are many issues that are not worth fighting about, but it is important to let your partner know how you feel if something upsets you. Instead of simply avoiding disagreements, it is essential for a healthy marriage that you discuss your feelings with your partner so that you can resolve the issue together. 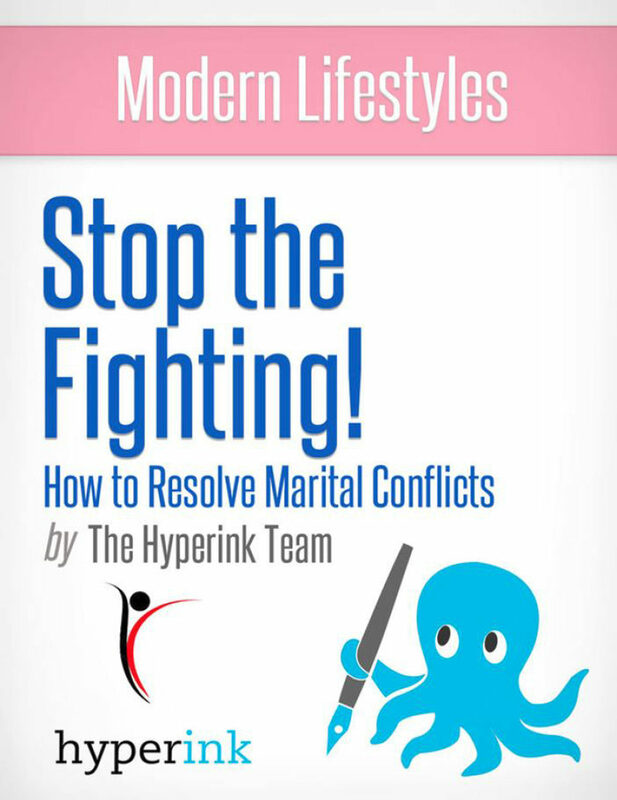 Fortunately, there are a number of things that you can do that will help you resolve conflicts in your marriage. Otros ebooks de The Hyperink Team.